The Roseland Peninsula is one of Cornwall’s hidden gems. Less ‘discovered’ than the rest of Cornwall it offers a huge variety of options for a day out. And for walkers it really is something special. Whether you’re looking for a strenuous all-day walk or a gentle afternoon ramble, there’s plenty to choose from. This week, we’re focusing on the Cliffs and Creeks walk, (one of the self-guided walks which forms part of the Fal River Autumn Walking Festival). The walk takes you around the tip of the peninsula at St Anthony Head, following the coast path, then cuts across to take you through woods and fields beside the Percuil river. It’s a circular route, approximately six miles long. This walk is lovely at any time of the year, but it’s beautiful in spring when the gorse, wild garlic and bluebells are out. Starting in St Mawes, hop on the Place Ferry, a 10 minute journey which will take you across the water to the start of the walk. Once you’re back on dry land, follow the South West Coast Path which will take you along the shoreline to St Anthony Head. The views along this stretch of the walk are simply spectacular – the headland overlooks the entrance to one of the world’s largest natural harbours, the Carrick Roads, and you can see Henry VIII’s coastal defenses – St Mawes Castle and Pendennis Castle. The path takes you round to St Anthony’s Lighthouse, which was used in the popular 80s children’s TV series, Fraggle Rock. Further along the route you’ll find the artillery battery which was built in the last 19th century and used in WWI and WWII. It’s looked after by the National Trust, and there’s plenty to discover here, with helpful information boards to explain when and how it was used. If you’re in need of refreshment, there’s a delightful tearoom, The Garden, nearby. The walk continues along the coast path to Porthbeor beach where you can enjoy stunning views across the cliffs and the opportunity to spot a variety of sea birds. The climb down to Porthbeor is a steep one, but it’s definitely worth the trouble. With coarse golden sand and rock pools, it’s a good place to stop for a picnic and a paddle if it’s warm. Carry on along the coast path towards Portscatho. When you reach Towan Beach, turn left across the field towards Porth. You’ll need to cross the road and walk through the farm to pick up the path that will take you along the shores of Porth Creek to North Hill Point. From here, it’s a gentle stroll beside the Percuil River back to Place Creek. St Mawes is approximately 35 mins by car from Bosinver. Alternatively, you could take the bus to Truro, then get the Enterprise Boat to St Mawes. The Place Ferry runs between St Mawes and Place Creek seven days a week (end Mar – beginning November). The crossing takes 10 minutes and a return ticket costs £6.30 for adults, £4 for a child, or £18 for a family. Well-behaved dogs are free. You can find information about other walks on the Roseland Peninsula on the Fal River website. We recommend picking up a copy of the Fal River Guide (you can pick one up free at Bosinver), or you can order one online. Although the route is generally well signposted, you might also find it useful to take a copy of the Fal River Map or an Ordnance Survey map of the area. 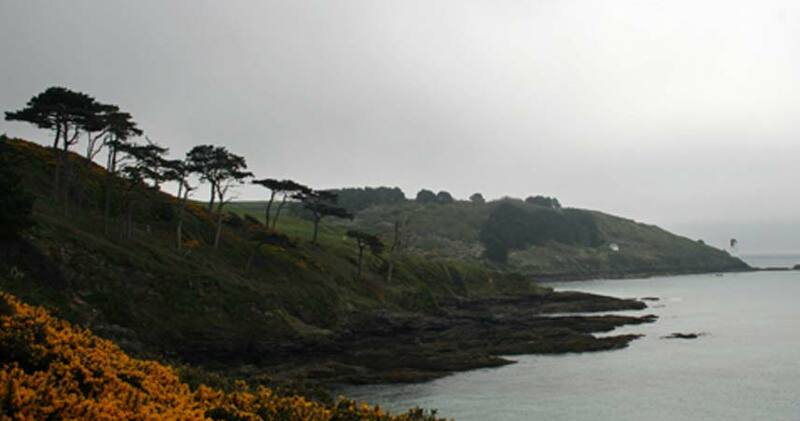 The Fal River Autumn Walking Festival 2013 runs October 18 – November 3.